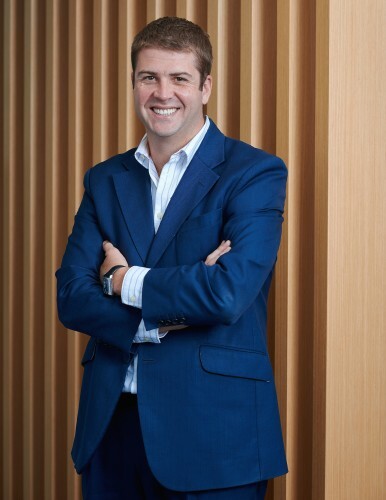 In this opinion piece, Pandora’s chief commercial director for Australia and New Zealand, Chris Freel (pictured below), explains why the sound of music streaming is only going to get louder. The audio renaissance is well and truly underway. As the impact of streaming gathers pace, audio is fast becoming the hot topic on every marketer’s lips, and 2017 is the year that streaming audio will truly break through into the mainstream vernacular of Australia. Here are the reasons why and insights that will help clients drive results in this rapidly growing category. The latest numbers from Statistica show that 6 million Australians are now streaming music every month. What’s more, this number is growing fast. In 2016, the music streaming category saw 57 per cent year-on-year growth – greater than any other audio source*. This forecast is set to continue, with Statistica reporting that 41 per cent of Australians will be streaming music by 2020. As the traditional barriers to streaming continue to be broken down with initiatives such as Optus’s data-free campaign, more awareness, more integrations in car and connected homes, the rate of adoption will only increase. The result of this is that advertisers can now reach a mass audience through streaming platforms. The power of the logged-in user provides more data than ever before and offers zero wastage for advertisers. An always-logged-in user means that streaming companies know exactly who is listening, where they are listening, when they are listening and how they are listening. This first-party data is invaluable in helping advertisers to target the correct audience, at the right time, with the right message, making their ads more relevant and more effective. This allows advertisers to be more specific, smarter and more creative in their messaging and means that listeners are receiving ads that they are more likely to engage with. Brands are getting more creative with their audio and finding their sonic identity. In his book The Sonic Boom, Joel Beckerman talks about how sound transforms the way we think, feel and buy. Just think about a sizzling steak, a champagne cork popping and the waves crashing against the shore. Sounds elicit emotion, nostalgia and the desire to recreate a memory. The power of sound combined with products creates strong associations (like Apple’s iconic sound as you turn on your Mac) and brands that have a strong sonic identity are driving positive sentiment with people, Beckerman writes. Through sound, you can have a hugely positive impact on people’s mood and behaviours, leading to implicit, positive brand associations. You can’t get any closer to a listener – you are literally inside of their head. Everybody is plugged in and millions through their headphones, with all outside noise and distraction removed. In a world where everybody is scrambling to be heard, the streaming environment offers the opportunity to have direct communication without clutter and real impact. A recent study conducted for Nestlé demonstrated how Pandora’s environment delivered a 290 per cent increase in mobile ad awareness and a 116 per cent increase in brand favourability for its ;Nescafé Coffee Break Adventures; campaign**. Trust, engagement and receptivity go together like rama lama lama ka dinga da dinga dong! Listeners love their streaming services. They are engaged and this builds trust. Listeners spend a significant amount of time and personal investment with their preferred streaming service, and for many, it is their happy place – a place to escape, seek motivation, inspiration and a place of relaxation. In a recent survey of Australian streamers, 96 per cent claimed to be in a better mood after listening to their favourite music and 89 per cent said that music motivates them***. What is clear is that streaming now is mainstream, and brands have a fantastic opportunity to influence and inspire within a very receptive, trusted and ad friendly environment.